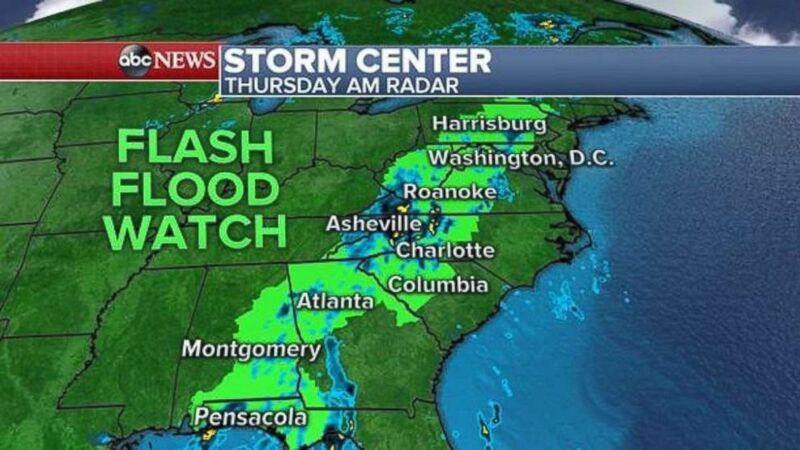 Over the next few days, more than 30 million Americans are at risk of experiencing flash flooding as torrential rainfall hits the East Coast. Widespread thunderstorms are developing from Florida to Maine, with flash flood watches in effect this morning from Florida to New York. A flash flood watch is in effect this morning from Florida up into New York. 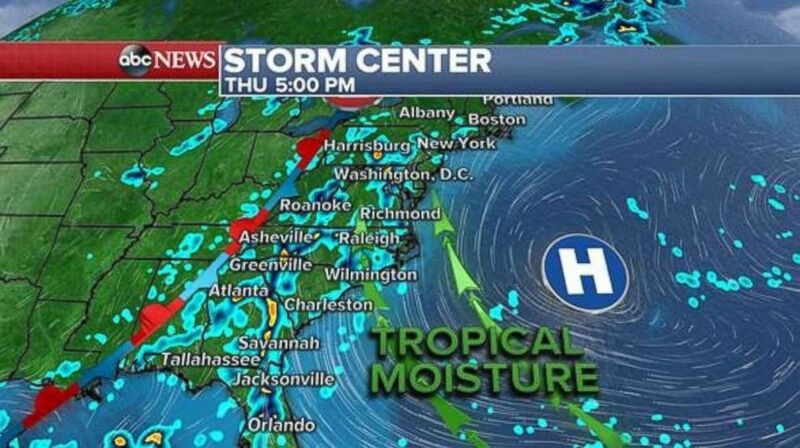 Tropical moisture is expected to approach the Southeast tonight. More widespread storms are expected to develop this afternoon across the East Coast and could include rainfall rates higher than 2 inches per hour. This afternoon, damaging wind gusts could strike areas including northeast Washington up through Springfield, Massachusetts. Through Sunday, rainfall totals of 2 to 3 inches are possible from Florida to Maine, with higher totals possible along the Appalachians. Warm temperatures likely will persist on in the East through the weekend. 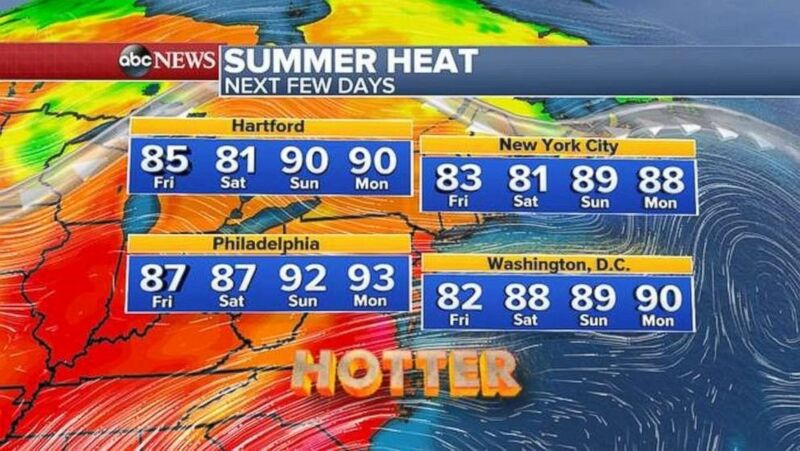 After that, temperatures will shoot up, as summer heat returns to the Northeast as temperatures will be near 90 degrees by the early part of next week. Out West, almost 60 wildfires are burning in 14 states. The Carr Fire in Northern California is now about 35 percent contained, spanning more than 115,000 acres. More than 1,000 homes have been destroyed and another 1,600 structures remain in harm's way. Thousands have fled their homes. The South Valley Fire, near Dufur, Oregon, has already burned about 10,000 acres. Hundreds of residents have been evacuated from their homes. 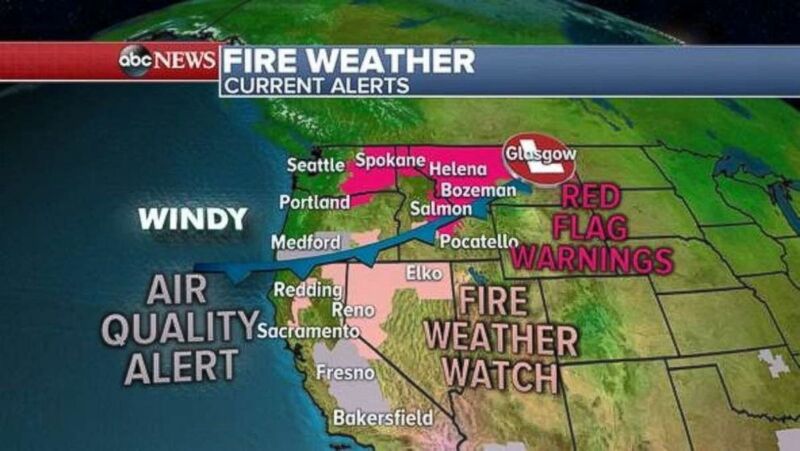 Fire weather watches and red flag warnings have been issued from California to Montana. While a cool down is in the forecast, fire watches and red flag warnings have been issued from Northern California up to Montana. This includes the city of Redding, near the Carr Fire. The fires are worsening air quality through parts of Oregon and California, with smoke from the fires affecting regions as far away as Denver, which reported hazy skies on Wednesday. Even as temperatures may cool off over the next few days, another round of summer heat is expected next week.